Athens (AFP) - The bodies of five migrants, three of them children, were pulled from the sea between Greece and Turkey on Wednesday after they drowned trying to reach Europe. Greek port police said two of the victims -- a man and a child -- had died after their boat sank on its way from Turkey to the island of Lesbos. A rescue operation was continuing in rough weather to search for more passengers from the stricken boat, which had been carrying more than a hundred people. Forty of the migrants were rescued by a patrol boat run by EU border agency Frontex, "and according to preliminary information, around 80 by private boats", a spokesman for the port police said, adding it was too early to say whether others could still be missing. On the other end of the Aegean Sea crossing risked by more than 800,000 people this year, the Turkish coastguard found the bodies of three migrants, two of them Iraqi children aged two and six, the Dogan news agency reported Wednesday. Greek Prime Minister Alexis Tsipras, visiting two islands that have become landing points for migrants arriving from Turkey, said Greece could not "accept that the Aegean is becoming a maritime cemetery". "Greece, under difficult conditions, is managing to cope and fulfil its obligations," Tsipras said. "It is now up to the other European states to keep their commitments," he added, noting that other EU countries are dragging their feet in providing promised personnel and supplies to help deal with the influx. On the eve of fresh talks in Brussels on how to tackle Europe's worst migration crisis since World War II, Tsipras also called on the EU to put more pressure on Turkey to stem the flow in arrivals. More than 680 people, many of them children, have lost their lives trying to cross the Aegean to Greece this year, according to the International Organization of Migration, many of them refugees fleeing conflict in Syria and elsewhere. 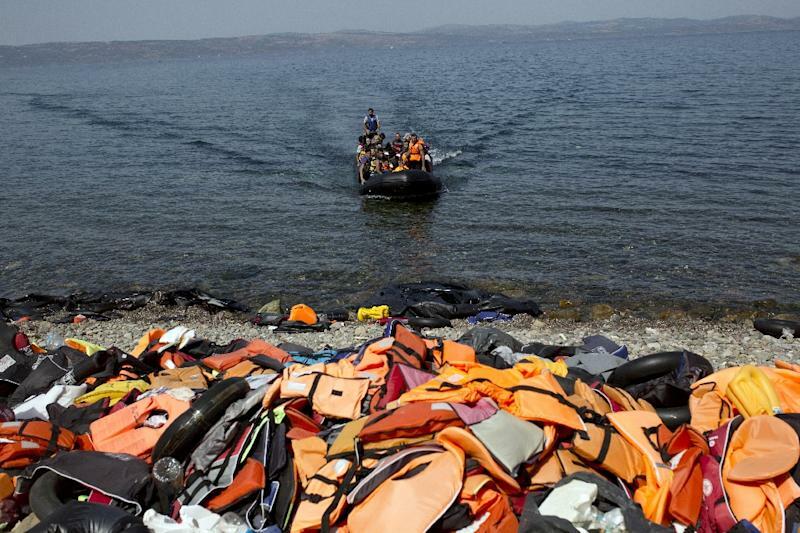 Nearly 3,000 others have died on the perilous Mediterranean crossing to Italy.